Asian casino developer and operator Melco Resorts and Entertainment Ltd says that it will commence the rebranding and redevelopment of The Countdown hotel at City of Dreams Macau by the end of next year. The rebranded hotel, to be called Libertine, is expected to be launched around the period of Chinese New Year in 2021. The announcement of a more concrete date for the launch of Libertine was included in a presentation pack released by the firm on Tuesday. The company had mentioned previously that The Countdown would be redeveloped “into a luxury hotel concept that better fits the overall positioning” of its flagship property City of Dreams Macau (pictured). The Countdown name was introduced in July last year, replacing the Hard Rock brand at City of Dreams Macau, following a corporate change at Melco Resorts. The City of Dreams Macau property is undergoing a general revamp. The Crown Towers hotel tower at the property – a branding associated with the Melco brand’s former partner in Asian gaming business, Australian casino operator Crown Resorts Ltd – was renamed Nüwa with effect from January. In Tuesday’s presentation, Melco Resorts confirmed that it would begin a “rolling refurbishment” of Nüwa after the Chinese New Year period in 2019, with the revamping taking about a year. Melco Resorts opened on June 15 the US$1.1-billion Morpheus hotel tower at City of Dreams Macau. The company is also planning a revamp of its VIP gaming offering at City of Dreams Macau. The renovation of the junket VIP area is expected to complete in the first half of 2019, said the company on Tuesday. 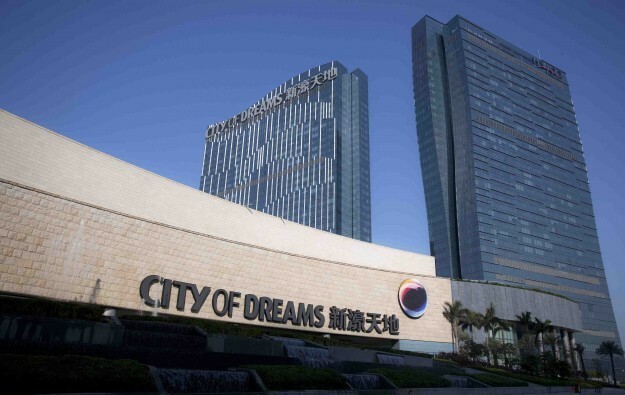 Melco Resorts announced earlier this year a US$100-million investment to upgrade the gaming areas and the non-gaming attractions at City of Dreams Macau and its 60-percent owned Studio City property, both properties located in Macau’s Cotai district. In Tuesday’s presentation, Melco Resorts said its capital expenditure was expected to decline following the opening of Morpheus. The company’s projections include US$417 million in capital expenditure for 2019 and 2020. Such projection however does not include the expansion of the Studio City casino resort, said the firm. On a conference call with investment analysts in July, Melco Resorts management said it was in the process of developing the detailed design for Phase 2 expansion of Studio City, targeting to begin work in the second half this year. The Macau government granted earlier this year a three-year extension on the development deadline for the public land concession where Studio City sits. The new deadline is July 24, 2021.